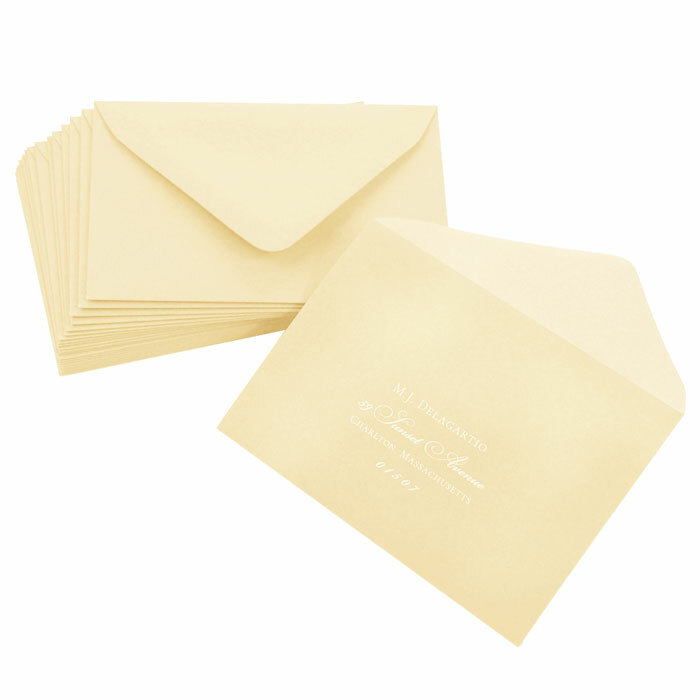 A7 invitation envelopes 5 1/4 x 7 1/4 in our contemporary Euro-Flap (deep neck) style are made from Gmund Colors (99) Snow White 81lb text weight paper. Snow White text paper is an elegant bright white matte finish with superb printability. A7 Snow White euroflap envelopes are the most popular size invitation envelope and correspond to our A7 cards measuring 5 1/8 x 7.